Schedule an appointment today to come see this amazing ranch style home. 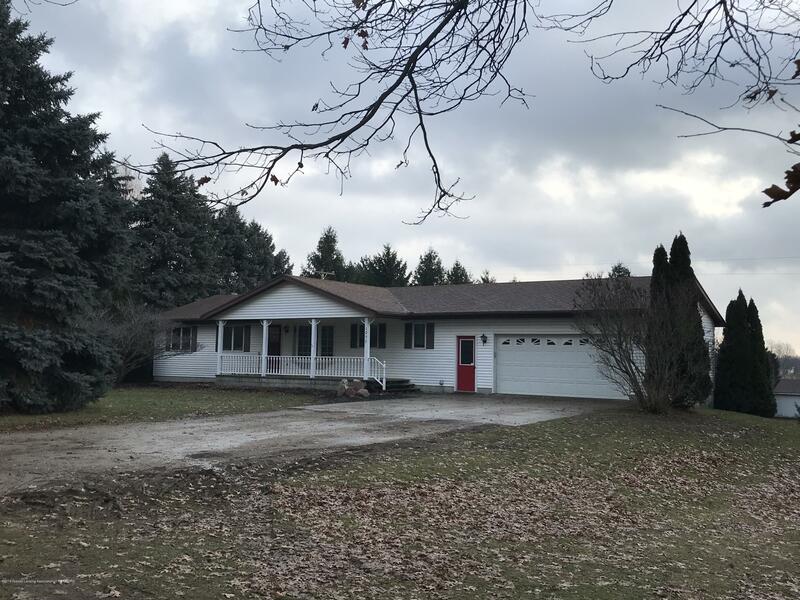 This house offers three bedrooms, 2.5 bathrooms, and a large family room with a deck that has amazing views of the 5.45 acres of country living. The huge walk-out basement is a blank canvas for your family needs. There is plenty of storage with the two car attached garage, 36 x 24 pole barn with electricity, a one car garage, and a garden shed. You can also spend time exploring the land with the trails that have been created throughout the 5.45 acres. Directions: From 27: Turn E on W. Marshall Rd. From French Rd: Go North on Scott Rd. Turn W on W. Marshall Rd.